The ‘Red Kite Network’ works on a daily basis to raise awareness among farmers, hunters and forest keepers as well as the general public and children, in order to ensure that red kites continue to fly over our countryside. The network organises school presentations and trips for the general public to find red kites as well as arranging information meetings with agricultural groups and hunting organisations, for example. Nationally, LPO Mission Rapaces has developed tools for the ‘Red Kite Network’ to use in its awareness work, providing information bulletins (covering topical subjects, giving local and national data), an information pack, information leaflets and an Internet site (these documents are available below). Tools for awareness work at a local level (information panels, kites, outline models and leaflets) have also been made. Every year (usually), annual meetings are organised in order for everyone involved in the ‘Red Kite Network’ to share their knowledge and experiences. One took place in the Pyrenees in 2004, in the Cantal department in 2006 and in the Loire department in 2007. In 2009, France organised and hosted an international red kite conference, which took place in the Franche-Comté region. 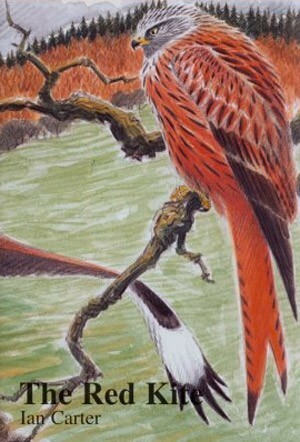 In response to declining red kite populations in France, 1999 saw the LPO launch a strident call for action as a result of the species’ critical situation. A recovery plan was implemented and a network of groups gradually became more organised, preparing for action. Mainly made up of wildlife protection organisations, the network also includes regional natural parks (PNR) and national parks (PN), the departmental services of the National Office for Hunting and Wild Fauna (ONCFS), the National Forests Office (ONF), the National Centre for Veterinary Toxicology Information (CNITV), UFCS [French Union of Protection Centres] care clinics and other scientific bodies (such as the CRBPO [Bird Ringing Research Centre], the CNRS [National Centre for Scientific Research] in Chizé and the University of Franche-Comté). The Ministry of Ecology and its regional agencies (DREAL), in addition to local authority groups, are also involved, providing financial support to varying degrees. Because of the national recovery plan, then, red kites are now supported by a dynamic network of groups that are daily committed to protecting the species. A mix of volunteers and paid workers, they are all passionate about what they do and determined to protect this majestic bird of prey. You too can be a volunteer and help us to save this cultural gem by contacting LPO Mission Rapaces (rapaces@lpo.fr) or your area’s local wildlife protection group. New : Result of a co-production between Catiche production and Laurent Charbonnier production, this 26-minutes film on Red Kite presents its biology, the landscapes they occupy in the Massif Central, the actors and actions of the restoration program in the Massif Central. One of the goals of this film is to raise awareness of the roles in the preservation of this raptor. Film from Christian Bouchardy and Laurent Charbonnier, produced by LPO Auvergne in collaboration with ALEPPE, CORA Ardèche, LPO Aveyron, LPO Loire and SEPOL. 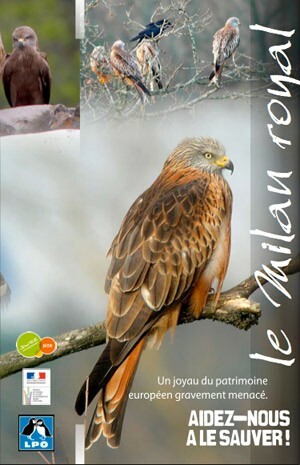 New for 2010: ‘Red kite’ leaflet: download one here or request a paper version from LPO Mission Rapaces (rapaces@lpo.fr). ‘Red kite’ information pack: download one here, (sixteen pages and a poster in PDF format as a 6.6 MB folder) or request a paper version from LPO Mission Rapaces (rapaces@lpo.fr or + 33 1 53 58 58 38). A sixteen-page brochure has been published to help present the red kite national action plan, implemented by LPO Mission Rapaces at the state’s behest. Limited to 3,000 copies, it is aimed more specifically at people who are likely to become aware of the presence of red kites in the birds’ native areas. It is available on request from rapaces@lpo.fr. 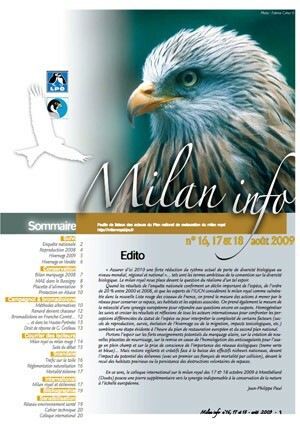 The proceedings of the International Red Kite Symposium (Montbéliard, France; october 2009) are avalaible in French and English. You can download the document here (164 p; 19 Mo) or read the proceedings online. 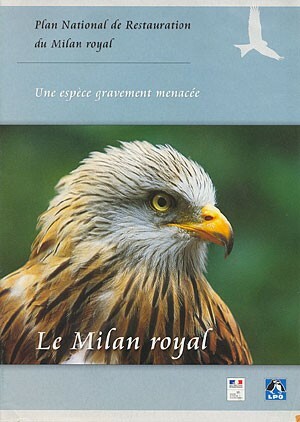 A new reference book about birds of prey in France: Thiollay Jean-Marc, Bretagnolle Vincent (2004). 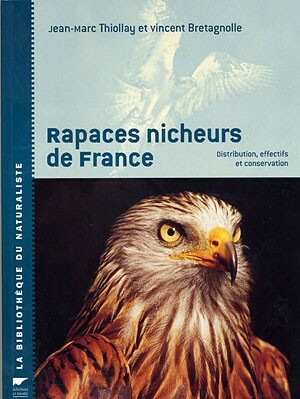 - Rapaces nicheurs de France - Delachaux et Niestlé. New 2007 edition available from this website. Delattre P., Giraudoux P. (2009) - Le campagnol terrestre - Prévention et contrôle des populations (published by Quae – part of the Savoir-faire collection). For more information, click on the image opposite. 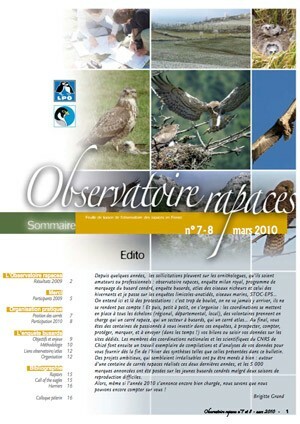 An annual journal entirely devoted to birds of prey featuring articles written by top French bird experts and comprehensive reports on all protective initiatives for birds of prey in France, Rapaces de France also provides the latest information on where birds of prey have been observed in France, regional and international news and book reviews. For a comprehensive overview of mred kites wintering in Navarre (Spain). For information about Poland's nesting population. 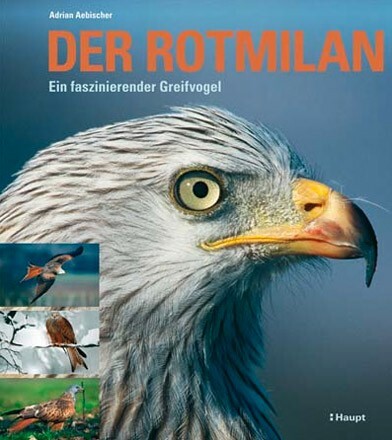 To find out about different red kite coloured marking programmes in Europe.